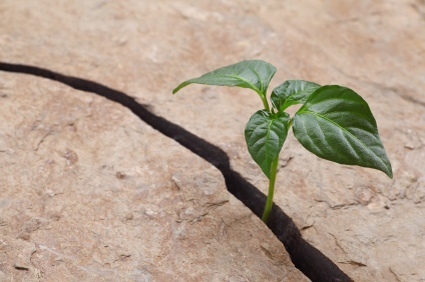 NaNoWriMo Tips: Write in the Cracks – The official blog of Michelle Tuckett, word ninja. Goodness, time is moving quickly. Normally, I would be going at a good pace for a normal month, but at 13,000 words, I am behind. And I know from some of your wonderful messages, that many are feeling the same. Last month was busy, and now I am in the process of very, very slowly catching up. And of course, it is not happening as quickly as I wanted. But in this rush and stress to keep the words moving in the upward count, I am seeing the opportunities I'm missing to write. We learn in these early days, as we either soar or we fall behind, to see all the cracks where writing could fit in. We look back over the day and notice that fifteen minutes we spent surfing Facebook in the morning, that extra errand we ran on the way home that someone else could have done, that hour we spent waiting for dinner to finish cooking. Writing can fit in-between the moments in life. That is part of the NaNoWriMo lesson, that it can happen in ten, fifteen, twenty minutes, in the places we could be doing other things. Or job is to see where writing can fit, and then do it without hesitation. Hesitation wastes time. It may not always go smoothly, I know. Nothing feels as good as a long chunk of time to write deep into our story and to really stretch our legs. Writing in blips makes things choppy, it can be hard to figure out where we left off. I also know that it is hard to get in only one hundred or five hundred words at a time, it feels like not enough. But they add up. And so does that awareness that writing can happen in the cracks between the events of the day. The story will grow in small pieces, and we can still get some words done even when life has us scrambling. As the story slowly grows, so do our muscles to assert writing into chunks of the day instead of cracks, we eventually develop the courage to make the other parts of the life spread apart with the roots we have planted. We learn as we write whenever that we can also make life happen between writing, that as the need for words grows we make life happen in the cracks between writing. Suddenly, as our focus shifts, life is a hassle and the words take over our words. We life with our stories living full color, while the real world fades to sepia tones. Even if we still have 30,000 words left to write in ten days, it becomes possible, if tiring, and we know we can because we know how to fit writing between the necessary parts of the day, and how to push the unnecessary tasks to the side. It will all be there when we are done. But do not worry about that for now; start where you are. Just write; whenever, wherever, however. Love it! “Just write; Whenever, wherever, however” – a great NaNo motto! Another excellent bit of advice that I have never really given much thought to. There is usually so much time in each day that we spend waiting for the laundry to finish, or waiting for the line to move, or whatever. If we can get into the habit of bringing our writing with us, even if it’s just a notepad we jot it on at the DMV, we would very likely be surprised at how many words we can get at the end of the day. I used to carry around a small drop spindle and a bit of wool or silk or other such prepared fiber, and would spin while waiting for things. I had heard that the spinning wheel spins more by the week, but the spindle spins more by the hour, because you can spin for a few minutes here and there, whenever you’re waiting on things. I’m sure the same can be said for writing in line, or at the laundromat, or even at the doctor’s office. You would be surprised at how much yarn I spun waiting in line; I’m sure I would be surprised at how many words I could get in on my phone or my tablet, writing in line or where ever I might find myself. Do any of you ever take your writing with you for spare moments? Please leave a comment telling us how you manage, and if it helps you.